What is currently happening in the world with regards to our country Iran, is not intended to improve the working conditions and livelihood of the working people of Iran, but is a full-scale war against the Iranian working people and waged earners. US imperialism is leading policies aimed at changing the political map of the Middle East and Iran. Fellow brothers and sisters of trade unions across the world! Be aware that the policy of imposing unilateral economic sanctions on Iran by the great powers, in particular the United States and its allies, is the beginning of an unfair and unequal war against Iran’s working class. These sanctions will lead to the closure of the country’s manufacturing plants, rising unemployment, increasing costs of food, medicine and the essential goods for Iranian people. These sanctions will create a golden opportunity for middle men and profiteers, with no harm done to the warmongers who will use this opportunity to get richer by amassing and hoarding essential goods needed by the working people, welcoming wars and conflicts. Fellow brothers and sisters in America and Europe! To prevent this catastrophe, we urge you to put pressure on your governments not to join these terrible sanctions and not to use your taxes for war efforts in the embargo of medicine and food against the Iranian workers and wage earners. Please request that your Members of Parliament to use your taxes for your country’s progress and not for the destruction of the livelihood of Iranian working class families. 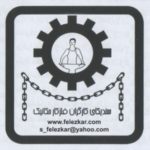 In countries where trade unions are influential on policies adopted by parliaments and governments, we urge our brothers and sisters in the metalworkers unions to demand from their respective governments not to join these sanctions and to support the Iranian labour movement and their families against the anti-labour policies, wherever they originate from. Let us unite, hand in hand, to organise an effective movement to fight against the threat of economic sanctions and war and to prevent the repeat of the calamities of Syria, Iraq and Libya to the Iranian People.